Today is the day! I have some exciting announcements. First of all, as you can see, I got a whole new blog design courtesey of Kaelah! She is seriously amazing and worked with me through every design detail. I'm excited to get serious and start a new chapter in my life as a blogger. Take a peek at the "mood board" I created for intial ideas and themes. I wanted pastels and a sixties vibe, which is exactly what I got. It's a whole new look and I love it completely! I'm still working on a few details, but feel free to explore. The site is now much easier to navigate. I also have a few of my favorite xoJane tutorials at the bottom of the page. My next exciting news has to do with BUST Magazine. I recently helped put together a new kind of Craftacular appropriately titled Primped. It'll be heavily focused on beauty and fashion, which should make for quite an event. Not only will I be "DJing" the first hour of the event (aka making a playlist), but I will also be teaching how to create flower crowns the first half of the day. 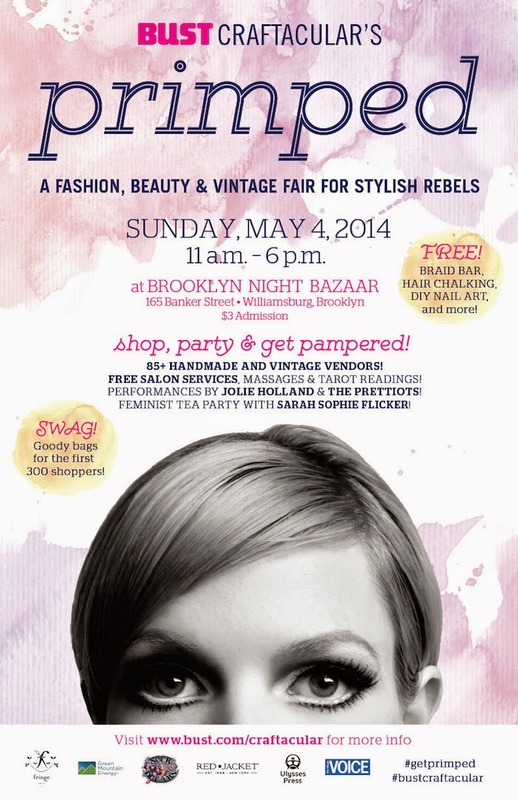 If you're in Brooklyn this Sunday, I highly recommend the BUST event. There are a million things happening and I'm already afraid of the money I'll be tempted to spend. Good thing there's tons of free stuff as well! In case you're wondering, these photos are all from my day at the Brooklyn Botanical Garden. It looks very floral, but surprisingly most things weren't in bloom and the park was crazy crowded for the Sakura Matsuri festival, which was also semi-dissapointing. My favorite event of the season is coming up soon: the Jazz Lawn Party! Buy your tickets now for the Early Bird Special. I'll be there Saturday, June 14th with my hair pin curled and my drop-waist dress! Oh, wow! This blog design is so perfectly you! Your blog looks fab, you look amazing, and I wish I could go to that event!! You are toooo cute! Love this dress, and love it on you!